As the 1990s began, big changes in the computer business were just over the horizon. 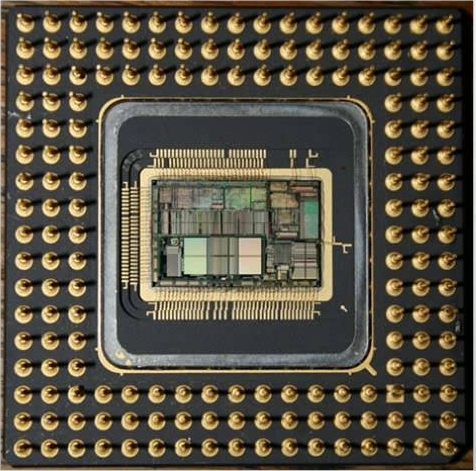 Intel was rolling out the 80486 microprocessor. With over a million transistors on board and clock speeds that would climb to 100 MHz, the 486 made the Graphical User Interface truly usable. Featuring that GUI front and center would be Windows 3.0 and OS/2 2.0. Conventional wisdom had already concluded that Microsoft took three tries to get the software right. That meant Windows 3.0 was going to be a Big Deal, and Microsoft treated it as such, with multi-page advertising spreads in the major tech publications. Nevertheless, the personal computing world was not ready to to cast Windows and OS/2 as competing products. Almost two years before, in the 14 March 1988 issue of PC Magazine, Gus Venditto reported on a "recent policy statement" by Bill Gates that "outlined a timeline in which 15 percent of new PCs are running OS/2 in 1989, growing to 50 percent by 1991." In his 12 April 1988 cover story, "What OS/2 Will Mean to Users," Charles Petzold concluded that "Everybody currently using DOS on an 80286 or 80386-based machine will eventually consider upgrading to OS/2." Everybody knew what IBM and Microsoft intended to do. Over a year later, Petzold still predicted that "IBM and Microsoft intend OS/2 to be the dominant PC operating system of the 1990s—and they seem ready to fix any problem that could inhibit this goal." In the 27 February 1990 issue William F. Zachmann stated that "OS/2 is clearly the intended heir to DOS as far as IBM and Microsoft are concerned." Despite the overwhelming success of Windows 3.0, Zachmann doubled down on this prediction in the 25 September 1990 issue: "Windows 3.0 will light the way to OS/2, not eclipse it. And that's really what Microsoft always wanted." Everyone is talking about Microsoft Windows 3.0, but not all of the talk is pleasant. It seems that Microsoft's sudden re-emphasis on Windows may result in more grousing by developers who have put their hopes into OS/2. Windows 3.0 now looks like the hot ticket to the future. I'm told that Microsoft employees have gone back to Windows en masse. Although Gates increasingly had every reason to question IBM's competence in the retail arena, the source of the widening rift was the diverging corporate philosophies of the two companies. Keep in mind Microsoft's mission statement: "A computer on every desk and in every home all running Microsoft software." Microsoft got started selling software for the 8-bit Altair. Microsoft made a CP/M card for the Apple II and is still a major software developer for the Macintosh. "A computer on every desk" manifestly did not mean "An IBM computer on every desk." Microsoft had much bigger aims than that. Every computer on every desk in the universe, if possible. 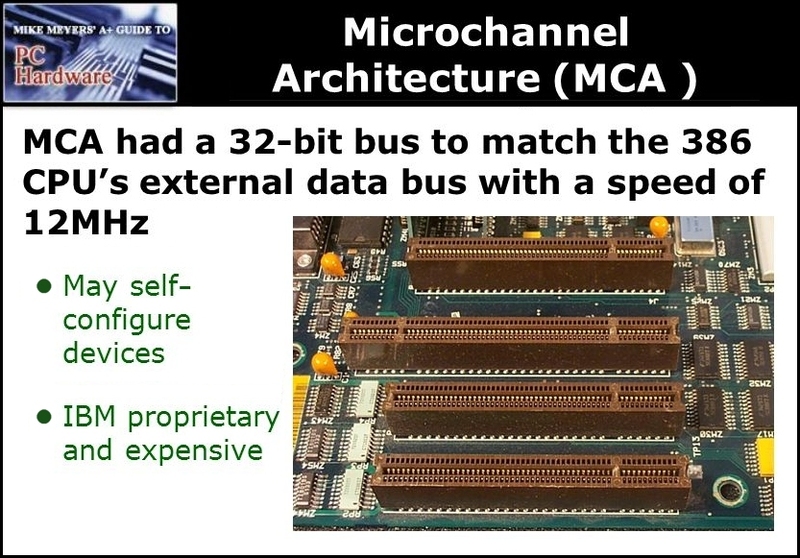 IBM's lurch toward proprietary solutions, starting with the Micro Channel bus, was tossing sand into the gears of this goal. 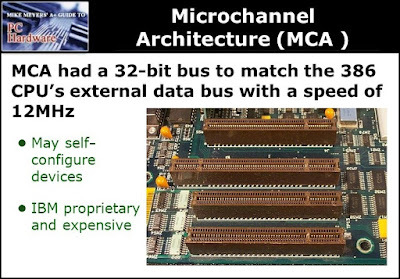 OS/2 cheerleader William Zachmann plainly admitted that Micro Channel was "IBM's standard. And nobody else's. From the very beginning, IBM intended Micro Channel to eliminate competition from vendors of compatible systems." 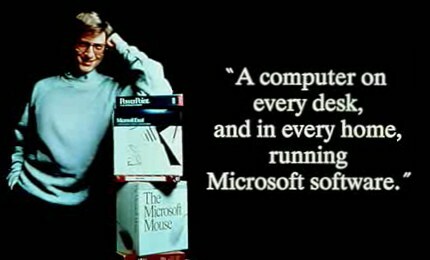 In the same 12 April 1988 issue that Charles Petzold declared "the OS/2 decade has begun," a more pessimistic Robert Hummel keenly perceived the same existential threat to the Microsoft and the huge base of existing DOS software that Bill Gates must have. If you use IBM software, OS/2 may not live up to the capabilities you want unless you buy your computers from IBM. And now you see the real reason for OS/2. Six months later, in his 31 January 1989 column, Charles Petzold mused that "The conspiracy-minded among us have suggested that OS/2 Extended Edition is the first step in making OS/2 an IBM proprietary operating system." Gates was not about to get hemmed in by IBM's possessive hold on the platform and its parochial approach to software development. Despite the huge industry it had created, IBM demonstrated no interest or ability in driving the business forward at the retail level and maximizing the consumer base. Simply consider that a personal computer user who resolved to plunk down 340 dollars for OS/2 Standard Edition 1.1 still had to figure out how to buy it. The OS/2 ads that appeared in PC Magazine directed the reader to "your local authorized IBM dealer." Whoever that was. By contrast, Microsoft made sure that Windows 3.0 came bundled with most new computers. And if you wanted to buy a copy, simply flip though the pages of PC Magazine to an ad from, say, mail-order powerhouse PC Connection, pull out your credit card, and it was yours for 99 bucks. Even William Zachmann had to admit that "IBM was never really aggressive on pricing. IBM was never aggressive when it came to innovation either." No surprise that Microsoft should resolve to reassert control over the personal computer operating system. As it had since its founding, IBM envisioned itself as a highly profitable purveyor of proprietary computing systems. In other words, what Apple would become two decades hence. Not a bad corporate goal to have—for IBM. But Bill Gates wasn't about to sacrifice a 90-plus percent market share in order to bolster IBM's our-way-or-the-highway strategy. 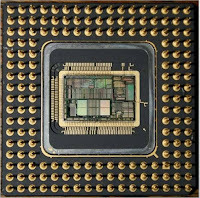 If IBM had not become preoccupied with its Micro Channel patents and closed architecture, I think it would have sold twice as many PS/2s. More important to IBM, Big Blue would be in the driver's seat, controlling the destiny of the market. Now it's just a target for bypass. The time had come for Microsoft to take the bypass and lead the personal computing world in a direction of its own devising.